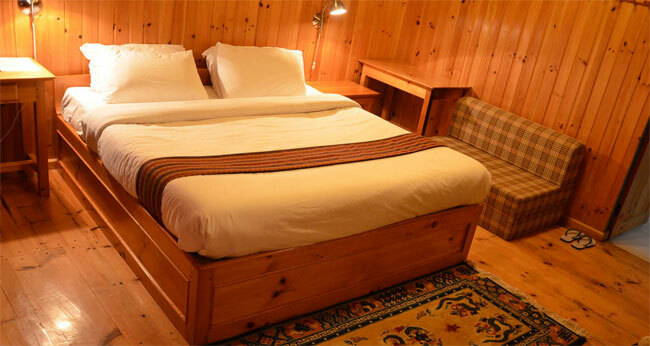 Richenling Resort is located 3.8 miles or 6.1km from Bumthang Airport. From the resort, the famous Jambey Lakhang Temple is less than 10 minute walk. Room amenities include en suite bathroom with running hot and cold water, tea and coffee maker, cable TV, space heater for the winter months. The resort features hot stone bath, meditation room, dinning hall, bar, library and private vegetable garden and orchard. 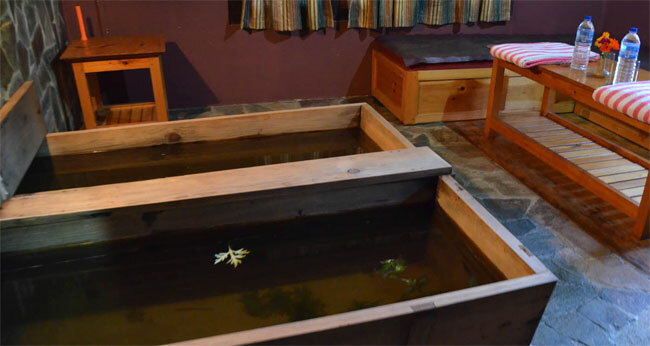 Rinchenling Resort is a family run property, providing three star services by local standard. The resort has two suites, six deluxe and twenty standard rooms and two apartments. Blending Bhutanese architecture with modern settings, all the rooms are symbols of comfort and beauty. Wood panelled walls, traditional and modern heating systems, and closets constructed with imported materials promises you comfort beyond your imagination.Food (vegetables and fruits) are organically grown with the the exception of meats. There was a fireplace (more like a fire-can with a chimney access) and gas heater as options to keep guests warm. The resort has three main block of rooms. The dining room with dining room and bar is in separate building. The dining room has an old copper-pot fireplace with wood fuel. 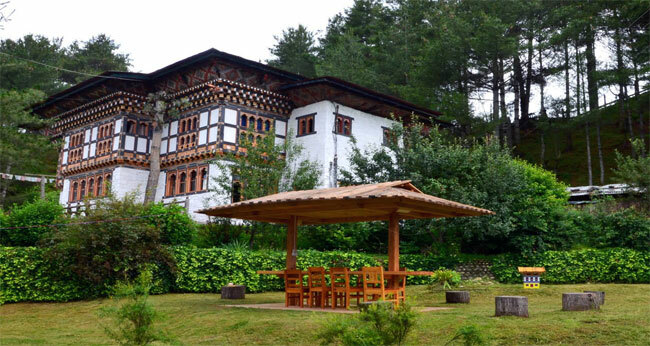 The buildings are constructed mainly with pine wood with typical Bhutanese style facade. The resort also features hot stone bath and conference room. They maintain their own kitchen garden for buck wheat, red rice and vegetables and even an orchard. So, you can expect a homely food freshly prepared from the organic produce of their garden! The resort also has a meditation room and conference room. 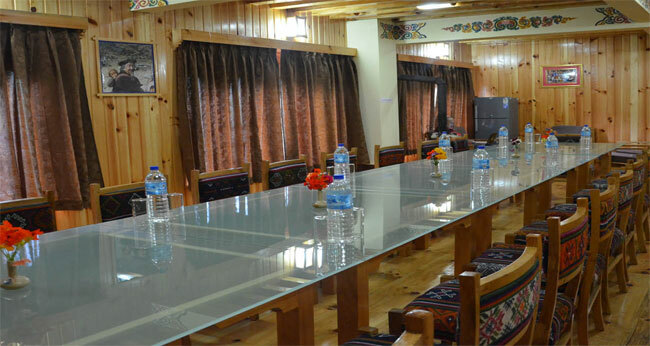 The rooms are large with a sitting space with lounge chairs, center table and flat screen TV with western and Indian channels. 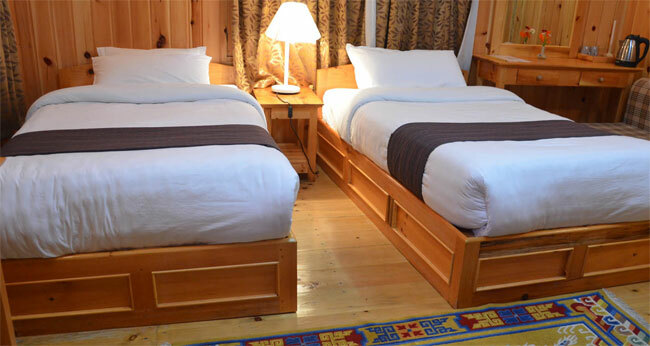 The rooms have a large full size or queen size bed or two twin beds, large window overlooking the garden. The room amenities include tea and coffee maker, bottles of drinking water, a room heater for the winter, no fan or AC though. The bathroom is a separate area with large frosted glass doors, surprisingly modern in terms of the ceramics & plumbing. There was a bathtub as well as a Shower Stall, and 24-hr running hot & cold water. Basic toiletries are also provided. Free WiFi is available in the common areas but rooms.